10/04/2016 10/05/2016 LetsPlayNintendoITA38 Comments on Treehouse of Horror XXVII event is live! Treehouse of Horror XXVII event is live! 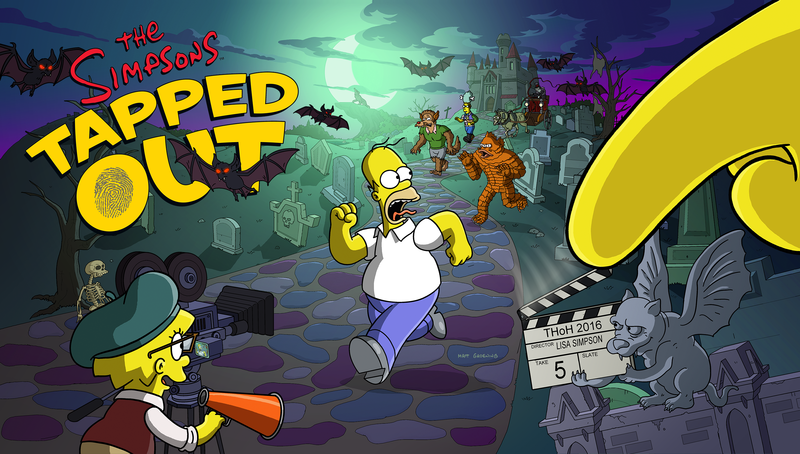 The Treehouse of Horror XXVII has just landed, surprisingly on both iOS and Android at the same time! Download now and join us later for all the infos you’ll need on the new spooctacular event! The event auto starts and Lisa and Homer starts the first quest! Anybody out there running a tad (off and on) sluggish ?? Stuttering ? Jumpy ? , lately ??? How big is the in game update? I have 1.5 GB of free space and it says I’m too full to download. Today’s update is ~500mb (couldnt see screen long) and it’s again saying I don’t have room. I did uninstall and full install to get this working before without freeing any space. Anyone else have this issue? Seems the “space check” in the game is seeking more than actual update. But is anyone else having issues with the monster battles? Tried, with no luck, hopefully there’s a small update tomorrow to fix. Thanks for the advice. Still cannot get update on Droid. Rebooted, uninstalled & installed. Anyone else? this is so weird. the playstore is showing (on the site too) 4.22.5. though i’ve it installed and running. google fix this! Don’t feel alone…I’m on the West coast USA…someone else said they’re on West coast…wonder if it’s a West coast delay? Still waiting on my Android, no update in store yet. I can’t wait for the update, I love the Halloween Events!!! Phone has been rebooted. No update available on Google Play Store. I am located on West Coast of USA. I have an android & it’s not showing in my play store…it seems some have it already,,,some don’t. How many times do you have to reboot the phone? I’ve done it once already and it’s still not in the Play Store. I waited till now and checked the Play Store again and it finally gave the option to update. Glad I’m not the only 1!! Not showing up in my play store or on my husband’s ☎…. (android) keep going to settings to clear play services & app store…reboot…check…nothin…repeated more than once. I’ve done that & cleared data on play store & services both. Halloween event not showing in my husband’s android,either. He doesn’t play the game but thought I’d check to see if it showed up. So frustrating! Im a little confused with crazy iguana lady hope someone can help. I dont own crazy cat lady but want to. She costs 180 donuts to buy. Iguana lady says it costs 110 after 40 donut rebate and comes with crazy cat lady. Could somebody please confirm that this does come with her or is it just a skin and still got to buy her for 180 donuts? Right ok. So its 150 and you dont get the 40 donut rebate? Or is it 150 then the 40 donut rebate? Is it worth getting or wait until black friday deals? if it says rebate it has rebate. That’s right. The crazy cat lady comes with the house and a costume. Have got the updatde ok. The problem is now the game self closes if i dont touch the screen for a very short period of time! I hope that its a temporary glitch as its very annoying! Its on all devices as well. Any information about this issue available yet? Previous Treehouse of Horror XXVII is coming!